Loveland Ski Area has teamed up with Christy Sports to offer your little ones an amazing deal on a Jr. Season Rental Package and Child Season Pass Bundle. Visit any Front Range Christy Sports location to purchase a Jr Season Rental Package and a Child (6-14) Season Pass Bundle for just $199! That’s only $10 more than a Child Season Pass and this Bundle saves you $99 off the cost of purchasing these items individually. 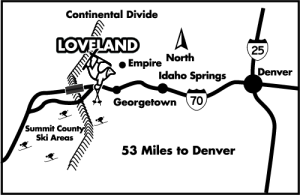 Purchase the Bundle at Christy Sports, grab your rental gear and then bring your Season Pass Voucher and receipt to any Loveland Ski Area Season Pass Office to pick up your 2018/19 Child Season Pass! Please see below for participating locations and restrictions. Offer ends on November 18, 2018.